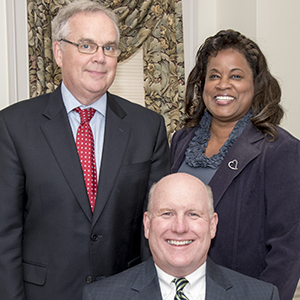 Sasscer, Clagett & Bucher (SCB) represents victims of personal injuries and surviving families of fatal accident victims throughout Southern Maryland. SCB has experience with nearly every imaginable type of personal injury case. We take professional pride in the strong résumés of our personal injury lawyers. $300,000 in a premises liability case against an apartment complex after the laundry room ceiling fell on a resident. $995,000 for a wrongful death case on behalf of the family of a woman who was killed when a heavy-duty tow truck struck her car while she was stopped waiting to make a left turn. $2.3 million total compensation for a man run over by a loaded dump truck. $2.15 million for a woman who suffered a traumatic brain injury in a truck accident. $1.7 million in a crossover vehicle collision. Our list of past achievements is lengthy, given that our personal injury lawyers have tried more than 700 cases to verdict. Our attorneys have handled thousands of injury claims, including trials and appeals involving large and complex cases and have previously served as defense counsel for insurance companies. This broad perspective allows us to anticipate the course of an issue and provide our clients with exceptional representation designed to recover maximum compensation on our clients’ behalf. If you have questions about a claim resulting from an accident or an assault, we invite you to call 301-627-5500 or e-mail our office to arrange a consultation with one of our personal injury lawyers. We serve clients throughout Maryland from offices in Upper Marlboro and La Plata. Do you know how to pursue compensation? Were you turned down by another firm, or told you do not have a case? Sasscer, Clagett & Bucher does not hesitate to take unusual or challenging cases, and our attorneys are fully prepared to litigate any case if it is in our client’s best interests. If you or a member of your family was seriously injured, it is important that you have your case evaluated by a lawyer with experience in similar matters. Certainly, a spinal cord injury that results in paralysis, or a brain injury that renders a victim unable to perform simple functions, is a serious, even catastrophic injury. However, legally, a serious injury is one that requires lengthy medical treatment or results in permanent loss of function. A burn injury that results in disfiguring scarring, a dog bite that leads to post-traumatic stress syndrome (PTSD), and a fracture or orthopedic injury that leads to early arthritis and loss of function in a joint, are all serious injuries. As your legal representatives, we will assist you in recovering to the fullest extent permitted by law to recover and the compensation you need to pay your medical bills. Our attorneys and staff will help you coordinate medical care, insurance benefits, and personal injury lawsuits to see that you receive the most beneficial outcome possible. Learn more about recovering medical bills and wages after an injury.